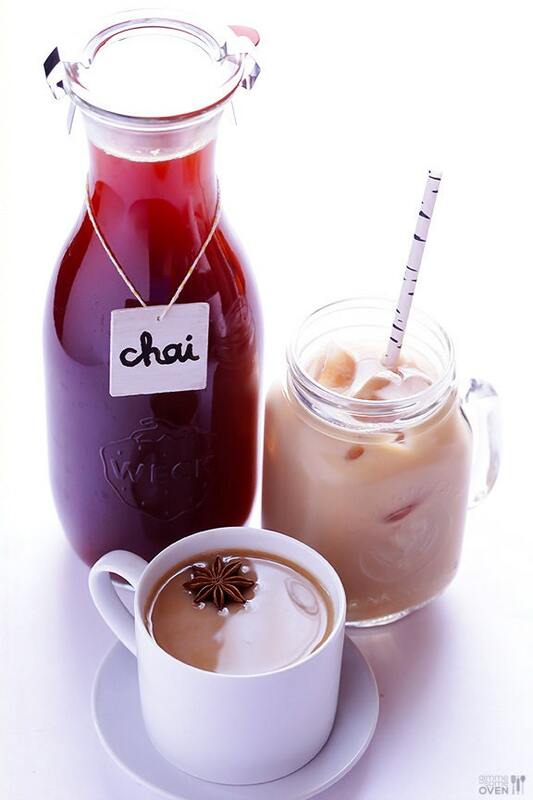 Chai literally means tea. It is blended with tea & milk to create a delicious drink. 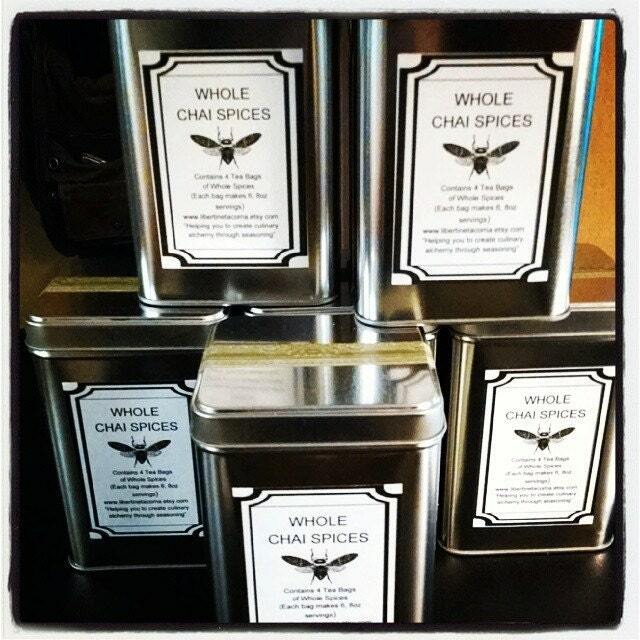 This is a classic blend of spices found in traditional chai blends in India. 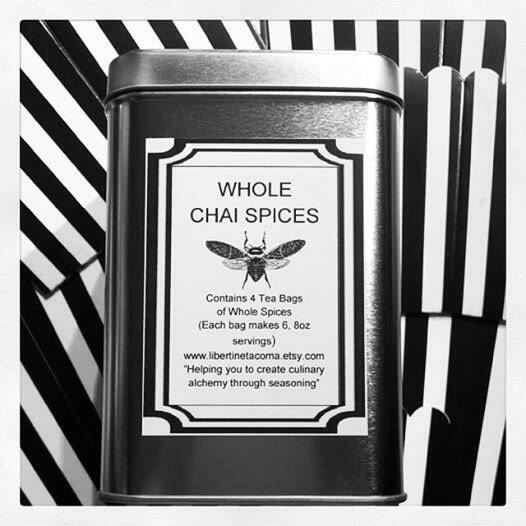 This tin contains 4, recyclable none bleached paper tea style bags filled with whole chai spices which are, Green Cardamom Pods, Cinnamon sticks, Cloves, Star Anise, Allspice, Ginger, Madagascar Vanilla. Each bag will make 6, 8 oz cups of chai concentrate. The tin measures 5" h x 3 9/16" x 3 9/16". It has a slip cover lid and the full instructions listed below on the back of the tin as well as the ingredients. Suggested uses: Immerse a single bag of chai spices into 2 cups of boiling water reduce heat to low to simmer for 5-10 minutes depending on how strong you prefer the spice flavors. Add your choice of tea (equal to 8 servings), preferably in tea bags to the water and let simmer for an additional 5-10 minutes. Remove from heat. You now have a concentrate equal to 8 servings that you can keep for up to one week refrigerated. 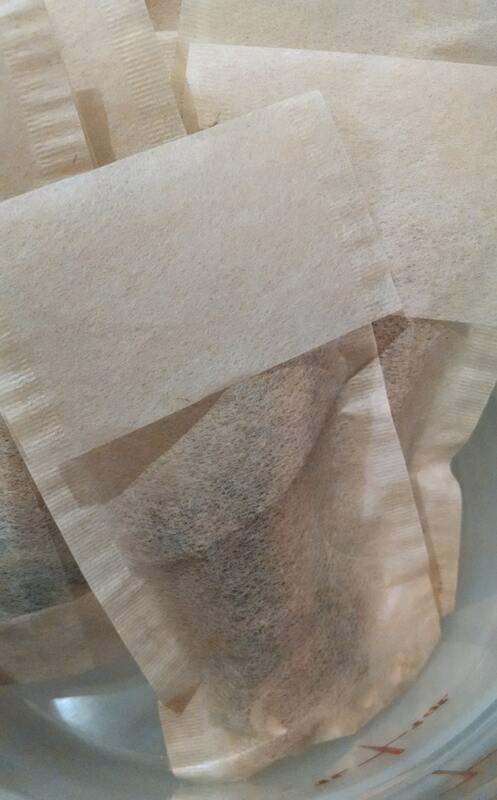 Strain tea leaves if you use loose leaf before storing. Add 1/2 cup milk of your choice to 1/4 cup of Chai spice & tea concentrate as well as 1 cup of water, equal to the number of servings you desire and simmer for 5 minutes. Be careful not to overheat as the milk will scorch. Mix with your favorite natural sweetener such as honey granules or raw cane sugar and enjoy! When you have finished making tea with the tea bag, dry out the spices and when dry, grind them and use them in cake mixes, frosting, whipped cream and other desserts.